“Oakland Ecopolis: A Plan for a Green Plan” was a manifesto formulated in the summer of 1997 for Jerry Brown’s Mayoral campaign of 1997-1998. It was written by Ernest J. Yanarella, Professor of Political Science and associate director of the “Center of Sustainable Cities” at the University of Kentucky, together with fellow academics Hugh Bartling, Robert Lancaster and Christopher Rice. Jerry Brown approached Yanarella to draft a sustainable city program that would form an anchoring platform for his mayoral campaign. Subtitled “Finding the Grassroots Resources for a Sustainable Vision for Oakland,” the document evokes a utopian vision, while also encompassing justice-oriented and ecological versions of sustainability. However, after reading it, Brown rejected the plan, citing its impractical aspirations for economic development. Brown’s commissioning and disavowal of “Oakland Ecopolis” demonstrates his shift away from the ecotopian visions associated with his seventies-era ‘Governor Moonbeam’ persona and towards the pragmatic, neoliberal urban development approach he assumed as Mayor of Oakland—as epitomized in his "10k Plan" to bring 10,000 people to a newly developed downtown Oakland. The debacle of “Oakland Ecopolis,” in relation to Brown’s campaign promises and mayoral legacy, helps us to understand the unstable ideological role sustainability plays in shaping his approach to governance in California across his long career. A utopian manifesto, “Oakland Ecopolis” reflects a stronger version of the ‘sustainability tripod or the triple bottom-line’ that balances between economic, social and environmental well-being as promoted in market-oriented versions of sustainable development.¹ Yanarella et al attempt to combine imaginaries of Oakland’s strengths (i.e. its multiculturalism and Californian ecotopian ideas) with a brief outline of policies to create the plan for a sustainable urban vision of the city. It suggests a revamping of citizen participation processes along with green development as an economic driver for the city’s regeneration. 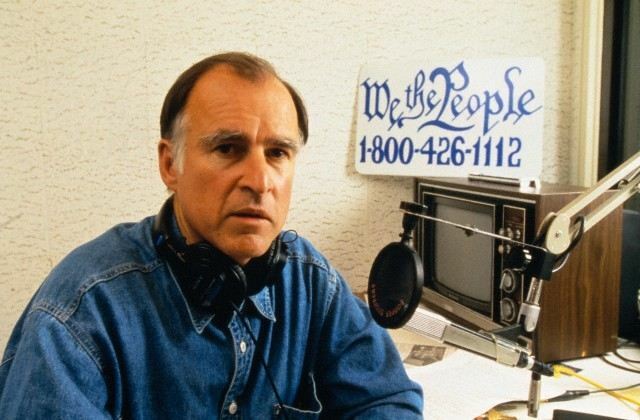 The idealistic tone of the manifesto was consistent with Brown’s ‘Governor Moonbeam’ reputation, which grew from his involvement, during his earlier term as governor of California, with individuals such as provocateur Stewart Brand. Prior to the conception of “Oakland Ecopolis,” Brown advocated for ideas of proto-sustainability ideologically aligned with the communitarian and counter-cultural aspects of Whole Earth Catalog, which called for the general empowerment and improvement of the human condition. In the mid-nineties, he founded an educational non-profit We the People aimed at “strengthening democracy and the ability of people to shape the places where they live,” and conducted radio interviews with anarchist thinker Ivan Illich whom he considered a good friend; linguist, social critic and political activist Noam Chomsky; and avant-garde architect Paolo Soleri. In October 1997, after uploading “Oakland Ecopolis” to the We the People website, Brown catalyzed his mayoral campaign with the notion of Oakland as “an ecopolis of the future—a city that is both in harmony with the environment and in harmony with itself." Yet this vision soon began to unravel. The plan and its authors were criticized in the San Francisco Chronicle, which linked “Oakland Ecopolis” unfavorably to Brown’s ‘Governor Moonbeam’ persona, and highlighted the lack of programmatic details in the plan. Within three weeks, possibly in reaction to these criticisms, and in keeping with his effort to cultivate a new persona as a political pragmatist, Brown dropped the plan and changed the tone of his campaign, falling in line with dominant ideologies of neoliberal urban development. He eventually disavowed the plan as “the academic meanderings of ‘two professors from Kentucky,’ and said, “I don’t talk about ‘sustainable development,’ I talk about downtown development.” This about-face was critiqued by Yanarella in the piece "How Green is Jerry Brown?" Brown decisively won the Oakland mayoral election in June 1998, collecting more votes than the ten other candidates combined. In his inauguration speech, there's no mention of Oakland Ecopolis. He instead pledged to "reduce crime, to bring 10,000 people to downtown to live, to...establish public charter schools...and to encourage artistic performance." A few months later, in a speech on sustainable development, where he expanded on the “10K Plan,” Brown alluded to the tensions between environmental efforts and the neoliberalization of politics: "When the G-7 nations get together...they talk about [reducing barriers to] opening up markets...That's the big picture on sustainability, and it's the reason why I don't like to use the word any more, because I think it's not very honest." Rather than sustainable development, Brown envisioned “elegant density” through the 10K Plan: "People are close to one another…there is culture and art, and yes, there is money and investment...I don't know how sustainable it is, but it is active." The Uptown Apartments on Telegraph Ave., the LEED-certified centerpiece of Mayor Brown's 10K Plan. Despite Brown’s change of heart and image, sustainability did end up as a featured element in the final plan, if of a different sort than in the Governor Moonbeam era. The Uptown Apartments, which opened in 2008 on a former brownfield site on Telegraph Ave, are among the first manifestations of the 10K plan, and became its symbolic centerpiece. 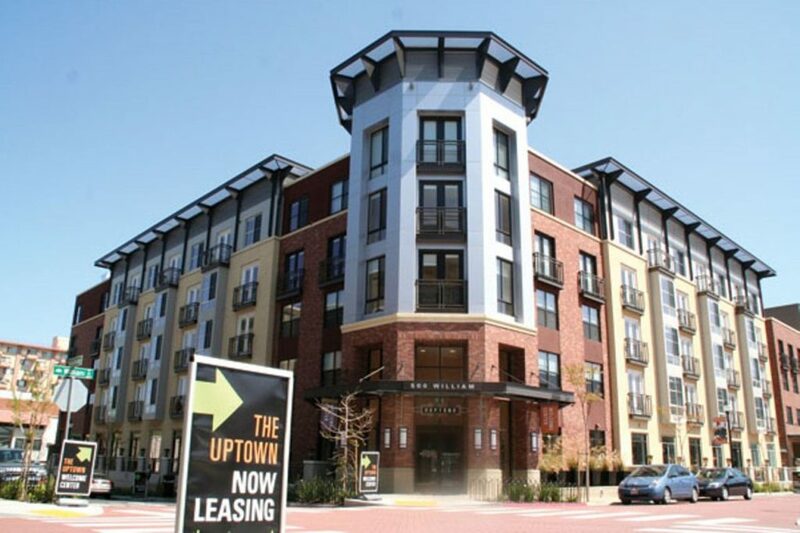 With LEED certified architecture, low-flow toilets and move-in gifts of “green” coffee table books, The Uptown promotes sustainability as a greenwashed lifestyle choice, exemplifying market-oriented sustainability.³ Such development is a far cry from the ecotopian vision of “Oakland Ecopolis,”even while it capitalizes on and distorts the imaginaries of the manifesto’s ideas of vibrant urban life. Rather than “Oakland Ecopolis,” the 10K Plan, and luxury green buildings like Uptown, remain Brown’s enduring urban development legacy. Ernest J. Yanarella and Richard Levine, The City as Fulcrum of Global Sustainability (New York: Anthem Press, 2011). Zusha Elinson, "As Mayor, Brown Remade Oakland's Downtown and Himself." New York Times, September 2, 2010. Forest City Developers, “The Uptown: Marketing Plan” (Oakland, CA, employee handbook, 2007), 127-168.